95% of retail Forex traders lose money – Is this Fact, or Fiction? There is a well known statistic being passed around the Forex community and there is a good chance you’ve come across it, possibly numerous times. Basically, it says that ‘95% of Forex traders lose money’. For traders who are chasing their dream of becoming a full time Forex trader, or at least trying to achieve even part time trading success; this statement can be a bit of a demotivator. If 95% are blowing up their accounts, the statistics imply you also will be become one of the losses. It’s not a very comforting thought is it! In a world of failing traders, what steps can you take to become the minority who survives and make consistent returns from Forex trading? In this article I want to do some investigating. We are going to try verify the claim ‘95% of Forex traders lose money’. We’re going to go over some supporting evidence, and attempt to conclude if this just a phrase used for scare tactics, or if it is actually based on fact. Special thanks to War Room member ‘kin’ (marketstudent) for helping me compile the information contained in today’s article. According to a Reuters article in 2008, the China Banking Regulatory Commission banned banks from offering Forex margin trading to their clients. This quote is useful but far from conclusive. “The profitability of day traders” was an article written by Douglas J. Jordan and J. David Diltz, published in the Financial Analysts Journal (Vol. 59, No. 6, Nov-Dec 2003). “The Cross-Section of Speculator Skill: Evidence from Taiwan” is a research paper by Barber, Lee, Liu and Odean published on 14th February 2011 on the Social Science Research Network. Using data from the Taiwanese Stock Exchange, the performance of day traders over the 15 year period 1992-2006 was evaluated. This is a very alarming statistic, only 2% of these traders were consistently profitable. Remember though, this study only had day traders under the microscope, and didn’t look any other style of traders. Let’s look at some evidence from the brokers themselves, which factors in a broader range of trading styles. 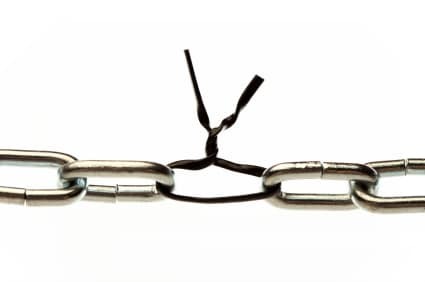 The U.S. Commodity Futures Trading Commission (CFTC) introduced new regulation in October 2010 forcing US brokers to lower the amount of leverage that can be offered to customers (maximum limits are 50:1 on major currency pairs and 20:1 on other currency pairs). US forex brokers are now also forced to disclose the percentage of active forex accounts that are actually profitable. 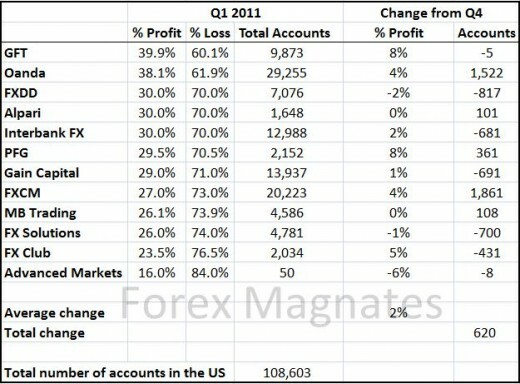 Michael Greenberg of Forex Magnates has compiled the data for the first quarter of 2011. The Magnates chart tells us that during the first quarter of 2011, the US brokers listed here reported that an average of ~25% of their ‘active’ accounts where in profit. This is a dramatic increase in percentages that we’ve seen in the other reports we previous covered. This data however is still not good enough to start base conclusions that 95% of Forex traders lose money on for the following reasons. The new CFTC disclosure requirements are certainly a step in the right direction towards greater transparency in the Forex industry. However, it is important to treat the percentage figures of winning and losing accounts with a degree of skepticism for the following reasons we just stated. 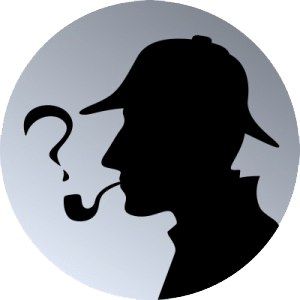 All of the brokers will be eager to present themselves in the best possible light – so it would not be too surprising if the figures were subject to some manipulation. If a broker can claim to have a higher percentage of winning accounts than their rivals, this may attract new customers to open up accounts with them. It is important to note that the data only includes “active” accounts (and the definition of “active” maybe interpreted differently by different brokers). We have no idea how many new accounts blew up in their first few months of Forex trading and subsequently became “inactive” (and thus were omitted). Oanda in particular have been guilty of some creative accounting – their data from Q3 2010 showed that a spectacular 51% of accounts were profitable, 18% more than the nearest competitor. However it turned out that included in their definition of “active” accounts were accounts that contained no trading activity but had simply accrued interest on the account balance! The CFTC quickly put their foot down and 6 months later we see that the percentage of winning accounts at Oanda has dropped to 38.1%. As disclosure requirements tighten in the future, these winning percentages are expected to fall even further. Even with all the digging we’ve done, and all the evidence we have sifted through, we simply still don’t have enough data to conclusive confirm that ‘95% of Forex traders lose money ’. One thing is for sure, it doesn’t look good for day traders. The evidence is basically conclusive that only ~2% of day traders can actually consistently turn a profit. This is no surprise to us though, we know day trading is a really stressful and tiring way to approach the market. 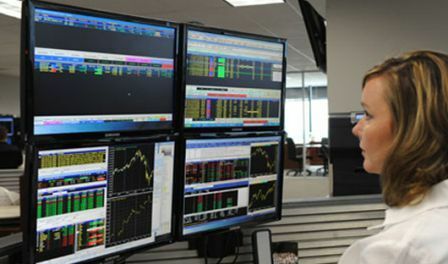 Day traders are required to sit in front of the computer for hours on end, staring at price charts while waiting for an intraday trade opportunity to present itself. Most of the day trades are placed with the intention of quickly being in and out of the market over a span of a few hours. With so many retail Forex traders engaging in scalping or day trading strategies, I am not surprised that most Forex traders lose money . 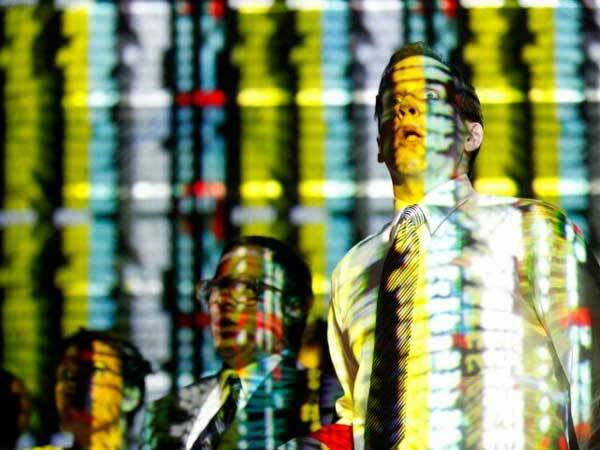 This combination of high frequency trading, and staring at charts all day is very psychologically taxing. Most day traders are failing because their patience wears too thin. They begin to do silly things in the market out of boredom, fatigue or frustration. Swing traders like us, use the core movements from the higher time frames to take easy, longer term trades. Swing traders ride out the dominant market direction it much stress-less fashion. By doing things like trading with the daily time frame, we don’t have to spend much time in front of the charts. This gives us the freedom to set our trades, and not have the burden of constantly monitoring them for hours. The idea is to be less involved with the market as a whole. Even though we don’t have anything 100% conclusive to support ‘95% Forex traders lose money’ it’s pretty safe to conclude that a ‘high percentage of Forex traders lose money’. How can you avoid becoming a statistic? 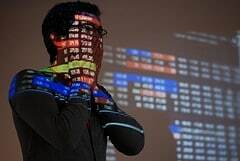 All of the anecdotal and hard evidence examined in this article strongly suggests that Forex traders lose money and the vast majority of traders are not profitable. It is not really possible to arrive at an exact percentage, but we can see that the most conservative estimate suggests that 87% of traders lose. So the soft quoted 95% statistic may be a little high, but it is fair to say that trading is NOT easy. 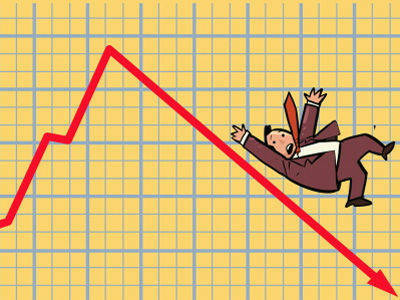 So how can we as traders avoid being one of the losing statistics. What are the small minority of successful traders doing that everybody else isn’t? By working with many traders in our Price Action War Room, we’re always on the front line witnessing how traders are ‘shooting themselves in the foot’. Traders who struggle to move forward, and hindering any positive progress with their trading goals all seem to share some similarities. The trader is in a bad financial situation and trading with real money that is needed for bills, mortgage etc. When you read through that list, how many points are you guilty of? I would bet at least a few. Don’t worry, you’re not the only one. These are everyday issues which traders struggle with and really do hinder their progress of becoming a profitable trader. Most of the problems are generally a result of psychological weakness. Traders are ‘giving in’ to their inner demons. Unfortunately most traders never build on the character and psychological traits needed to fight these inner temptations. You really need step up, and work on personal improvement to build what it takes to be a good trader. It’s like a smoker, drug user, or an alcoholic working to overcome their addictions. Deep down they know it’s destroying their health and lives. If they’re not determined and focused enough, it’s easy to fall back into bad habits and start a vicious cycle all over again. Do yourself a favor and go back through your history and study your losing trades. Get a pen and paper and make a list of what you think you did wrong when executing each of those losing trades. I bet you will see a common problem reoccurring on that list. Have that list in front of you when you go to take your next trade. Use this list as a nice reminder of last few times you’ve ‘traded against your better judgement’. Hopefully that it will deter you from making the same mistake again. Start to tackle your trading weaknesses and self improving to make yourself into a better trader. Give yourself a higher chance of not becoming a fatal statistic. Most Forex traders lose money, but that doesn’t mean you have to. If you’re struggling to find a trading system that doesn’t require you to sit in front of the Forex charts all day. You maybe be interested in our end of day price action strategies. Stop by the war room information page and check out our price action course details. Best of luck to you on your trading journey. I agree with all your points above, I've dabbled in day trading on and over the last few years without much profit and make many of the mistakes you mentioned. Been also following a eurusd blog who highlights the same things in eurusdtradersam and a combination of his points and yours have definitely given me lots of things to consider and implement.The key thing is changing the mentality from day trading which for many, myself included, is more of a hobby than an actual investment strategy which generates a long term return. Its a hard game in the world. Whoever you are, an English or a Chinese, a Bengali or a German, an Arabic or Japanese can earn from Forex. Its true that vast majority loses money. 10 to 20% can make profit. Why are you among them? Be self confident and try again and again. If you fail for months together, I suggest to stop and skip it. Its not suitable for all. It doesn't mean that you are worthless. You have proper knowledge in other subjects. The human being made the world much sweeter and better but not Forex traders. So don't worry. Look for another job. I was a looser for one year and never have left it. Now I am a happy trader. I don't know I am successful or not but earn a lot. I believe only limited candidates suitable for such trading at any point in time (perhaps 2%). My time appears to be approaching. Blown first live account (too ignorant and trigger-happy: proceeded to live account before positive consistency on demo account). Now positive consistency being observed (after almost blown second series demo accounts). Currently short-listing forex brokers to go live. You don't know what you are saying. The real reason is this: If you trade OTC without STP, you are a client of a broker who is actually trading against you. If you win, they lose. It’s in their KPIs to make money from their own clients. So you have no chance. Trading with futures is better at 80% loss but there again you’re up against the machines that can calculate much faster than you, incessantly ,without sleep ,all year.